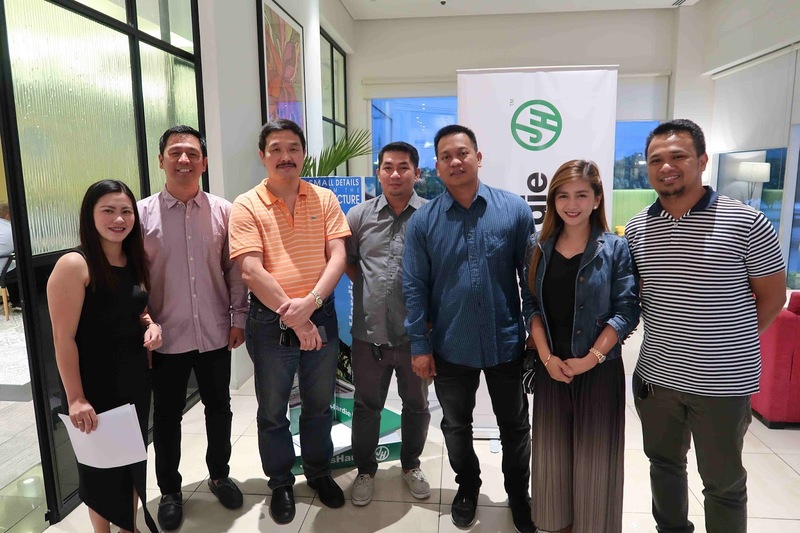 Gyeonggi Content agency (GCA), a provincial South Korean government agency which represents the Gyeonggi Province, together with Elite Games Inc., a leading premier service provider in the Philippines is introducing 9 new mobile games to the country. The Philippines will be the launchpad for these new games into the Southeast Asian market. Elite Games Inc. and GCA announced their partnership during the Philippine-Korea Video Game Cooperation Conference last December 2017. 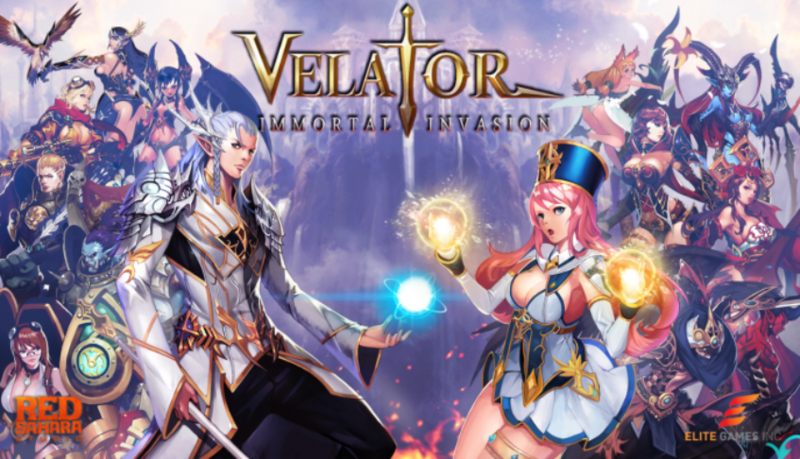 From Red Sahara Studio, Velator is a Fantasy Epic Team Strategy RPG set in the Kingdom of Shunhyte. Velator sets the player to an epic story up to the final battle against the storm of the Immortal. Even with auto battle options provided, the game engages the player to play manually not just to be immersed by the action combat system but also to rely on their own strategies through timing of skills and party composition. Experience HD Rendered 3D graphics and join guilds, raids and fight in PVP to create the best strategy in this brand new Fantasy Team RPG! A strategy game and clan system that combines forces to grow into powerful clans to conquer other clans and pillage their wealth. It also allows a player to instantly deploy their heroes and minions to have a fast PvP battles. Each player gets their own town with unique Magic Tower Combinations, and there are endless battles with a variety of heroes and minions. Experience more in the Exploration Mode and Pillage Mode. What are you waiting for? Get your clan together and conquer the battlefield! MachiKnights; Silent Guardian is an SNG Real-time Strategy Game aimed at 15 years and older. Players will get to control giant robots for offense and defense! But these robots aren’t your standard anime mecha. You’ll be controlling massive steam punk robots with incredible weapons and armor! Battle with friends or with other players around the world! From the makers of Hello Hero, a game that has topped the charts in 49 countries and is played by over 20 million people around the globe, comes its newest installment – Hello Hero Epic Battle! Recruit over 100 Heroes and fight in multiple modes and stages to become the Top Guardian of Armon! Create your own planet to travel around the world and uncover its beauty! Solve puzzles to progress and obtain real-world landmarks for your own personal collection! Casual and unique puzzle game: match-3 puzzle that anyone can play. Build your own ‘Planet’: Decorate your planet with stores, street stalls, ornaments, tiles and more! Have you ever wanted to be a billionaire? Be the owner of a worldwide conglomerate? Travel the world? You’ve come to the right place! Be the Virtual Tycoon of the World! 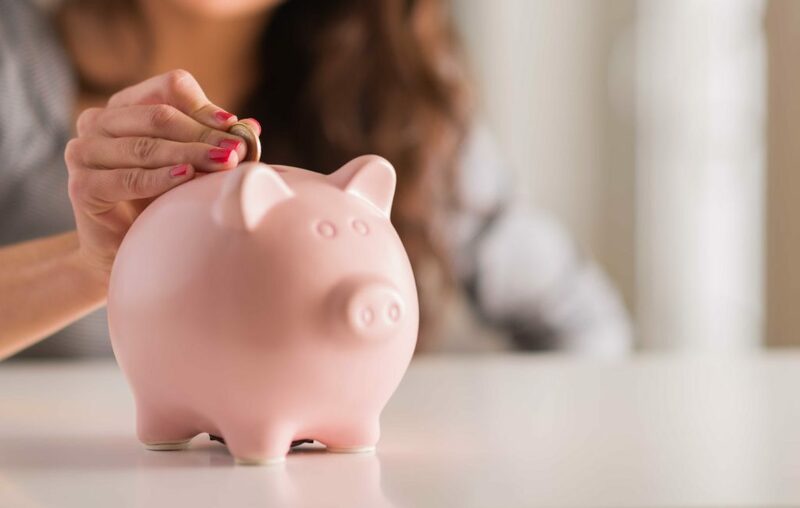 Buy and sell to rake in the money! Explore the world to find the best bargains, make great deals, and find rare items! Collect the right formulas and materials to create super rare & valuable items – enjoy the cash windfall! 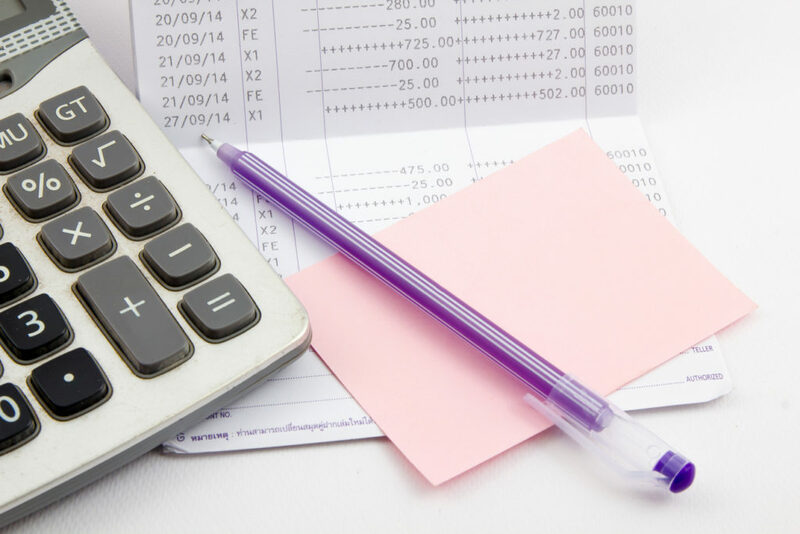 Build your business empire to grow your fortune! 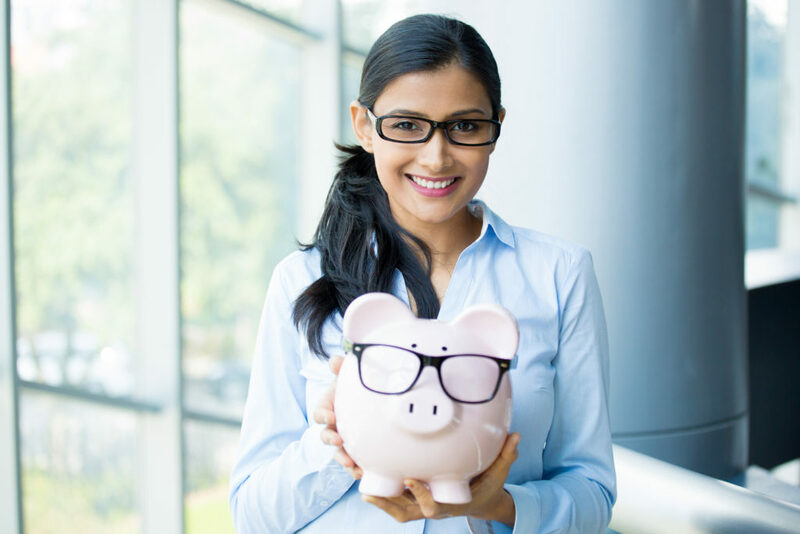 Upgrade your deal-making skills to maximize profits. Compete against friends and other up-and-coming business magnates! A new online multiplayer fighting-action game with easy controls!. Experience aerial wrestling with cute fighters! Upgrade your units to do more damage and survive attacks. Save wingmen by shooting the airships and bandits that will be lurking all over the place. You’re the commander and you get to control all of the action! Good luck, Player-Commander! Fantasy Tales is an explosive Idle RPG produced by Captains with jaw dropping character designs and combat system that provides astonishing gameplay for an Idle RPG. Fantasy Tales adds a gameplay that existing, non-existent RPGs do not have. It is a new concept free RPG with simple, easy customization, growth, collection and strategy. Climb your way high as you obtain different reincarnation stones that can make your hero destroy all the demons relentlessly. Save the dying world by summoning heroes upon collecting Hero Shards and repel all the demons created by the Goddess of Destruction Lakstia. Enjoy playing even when you’re away from your gadget by letting the game play on background mode. Graphics and Design: Unique character designs and action oriented combat system. Hero List: Form your team by choosing the right combination for your Party. Arena: Fight your way in the Arena on becoming the best of the best. Idle Gameplay: Your account continuously proceeds with every stage even with just running in background mode. Rebirth your account to reach higher goals. The new mobile games were introduced at the Elite Games Expo through mobile game experiential booths. At the event, everyone was given a chance to try the games first hand or download them through the Google Play Store or App Store. Johnny Paek, CEO of Elite Games, Inc., said that the Elite Games Expo will be the one of many game introductions that they’ll do to promote game development and release of Korean-developed games in Southeast Asia. Next stop is Indonesia and the rest of the Southeast countries. Gyeonggi Content Agency representative, Sung Gil Moon, Director of GCA, is excited about the Elite Games Expo and said that the event will pave the way for more South Korean game developers to gain access to one of the most dynamic gaming bases in the world. Gyeonggi Content Agency is one of the provincial agencies representing tech and game developers in Gyeonggi-do, one of the major centers of technology and gaming development in Korea. Elite Games, Inc. will provide support services and development for all of the games introduced at the Elite Games Expo. In the report. State of the Game Industry 2018, released by the Game Developers Conference, PC and mobile are still the most popular platforms to make games for. Similar statements from a GamesIndustry.biz article, IHS Markit is predicting world consumer spending on games to have broken $110 billion in 2017, with mobile games apps driving the most growth. The same report said that by 2018, gaming will break $120 billion mark. In the report, IHS Markit predicts that mobile games apps spending will break 50% share of the games market in 2018. Its share in 2008 was just 7%. According to Statista.com, revenue in the Philippines Mobile Games segment has reached more than US$175 million in 2017. By 2022, mobile phone game revenues will reach US$256 million or more than a quarter of a billion dollars. Paek said that with ever growing mobile and online game industry, Elite Games Inc and GCA will make sure to help nurture game publishing and development here in the country and the rest of Southeast Asia. 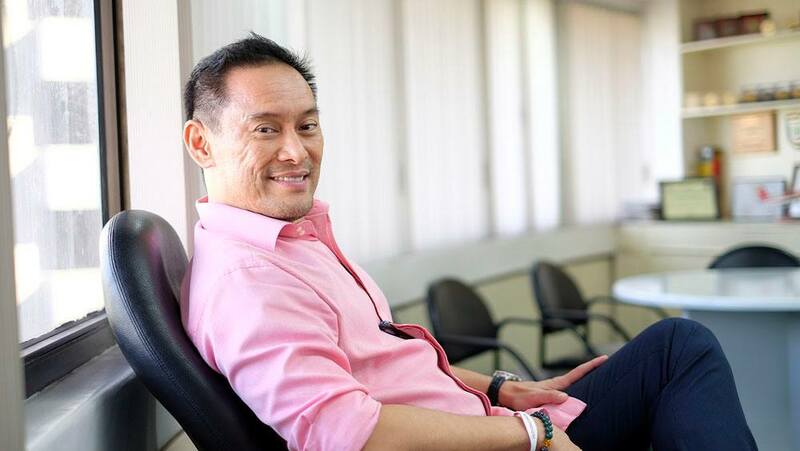 Lucio “Bong” Tan, Jr. is Tanduay Distillers Inc.’s president and he’s going full offensive for Batangas Tanduay Athletics in the new Maharlika Pilipinas Basketball League (MPBL). Tan, whose passion for basketball was cultivated in childhood, believes he saw a formidable ally in MPBL founder Sen. Manuel Pacquiao in providing opportunities for local talents from the regions to advance their basketball dreams. “When we formed Tanduay Athletics, we had grassroots youth development as one of its major thrusts. We believe we can give equal opportunities to aspiring basketball talents from the cities and the regions through MPBL,” Tan said. The MPBL features teams that represent a province, city or municipality in a home-and-away set up, where players get to play in front of hometown fans. Each team is required to have at least three players that are homegrown to the area they represent. Aside from Batangas Tanduay Athletics, other teams playing for the MPBL include Bataan Defenders, Bulacan Kuyas, Valenzuela Classic, Marikina Athletics, Caloocan Supremos, Navotas Redcore and Muntinlupa. “We put our hope in the next generation to make better their lives and become useful to society. To give meaning to words, we support avenues that will enable them like the MPBL and Batangas is close to home. That makes this endeavor special and worthwhile,” Tan further explained. Tanduay Distillers’ alcohol refinery Absolut Distillers Inc. has been operating for 26 years in Lian, Batangas. It is one of the country’s most advanced distilleries that has received multiple local and international awards for operating on zero waste and employing green practices. “We have a very encouraging start with the strong performance of the team. We hope to continue the momentum. But in every league or sport we support, what’s important is how we are making a difference in the lives of the athletes. How they develop as individuals and how they will continue to inspire a nation as an athlete like Manny Pacquiao is why we are here to support,” Tan concluded. The Batangas-Tanduay Athletics had an early win during a match with Valenzuela Classic and Bataan Defenders as former Philippine Basketball Association (PBA) players Val Acuna and Lester Alvarez lead the way for the new team. Climate change is here and it is one of the main challenges that faces our country today. With the unpredictable environmental impacts that climate change has on a disaster-prone country like the Philippines, contractors together with architects and builders must adapt new solutions for sustainable living. 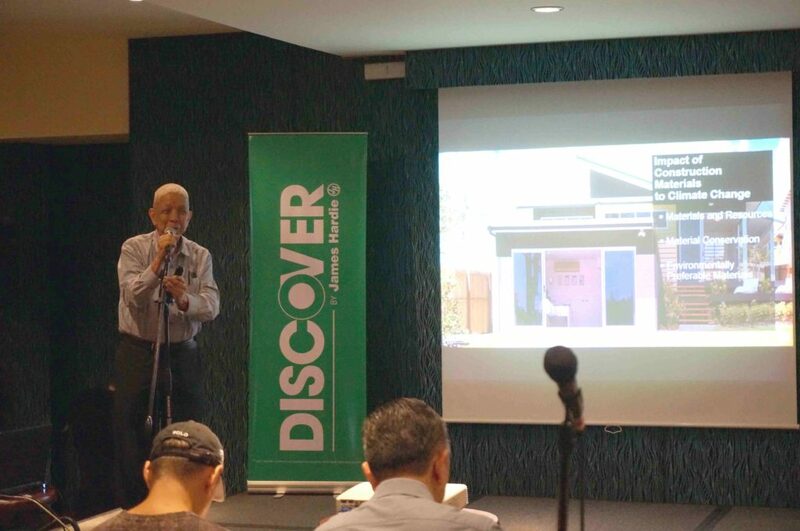 James Hardie Philippines has developed Discover – an educational series which shares the latest construction trends and building technologies with local contractors, developers and manufacturers. For its first installment, the series explored the use of more environmentally conscious yet sustainable building materials with Filipino builders and architects. “This first Discover event was set up to serve as a think tank where industry players and specialists can come together to impart and exchange knowledge on new building technologies and trends,” said Liza Alde, James Hardie Philippines’ Marketing Manager. “This will not be the last though,” Alde adds. “We are ready to replicate Discover nationwide to better reach our architects and contractors locally. By providing our partners with access to the right information and solutions, we can help work together to address the changing needs of the market.” Launched in Manila then held next in Pampanga, Discover extends to local contractors and industry players valuable knowledge on building trends and environmental responsibility they can apply in their projects. Green building and mindful material use and re-use were the main points tackled in the discussion. Carmelito Tatlonghari of the Green Architecture Advocacy of the Philippines highlighted the impact construction materials have on the environment. He urged builders and architects to first consider using materials that are better for the environment, cost-efficient, and durable in any project, and to utilize resources made available by green building rating systems like LEED and BERDE to assist them with their choice. Meanwhile, Technical and Product Development Manager of James Hardie Philippines Net Saysay, has underlined how building materials and practices that are mindful of the environment can benefit contractors, developers and even professional architects and engineers. Saysay explained how HardieFlex™ fiber cement boards cater to the environmental needs of the Philippine market and highlighted HardieFlex™ Eaves, as James Hardie Philippines’ newest solution for green architecture. HardieFlex™Eaves are designed to help structures cool down naturally by allowing interior heat to escape as well as keep moisture away from the roof space. HardieFlex™ Eaves are thick and durable, and are specifically designed to better withstand material degradation that is a common result of the harsh Philippine climate and the impact of natural disasters. 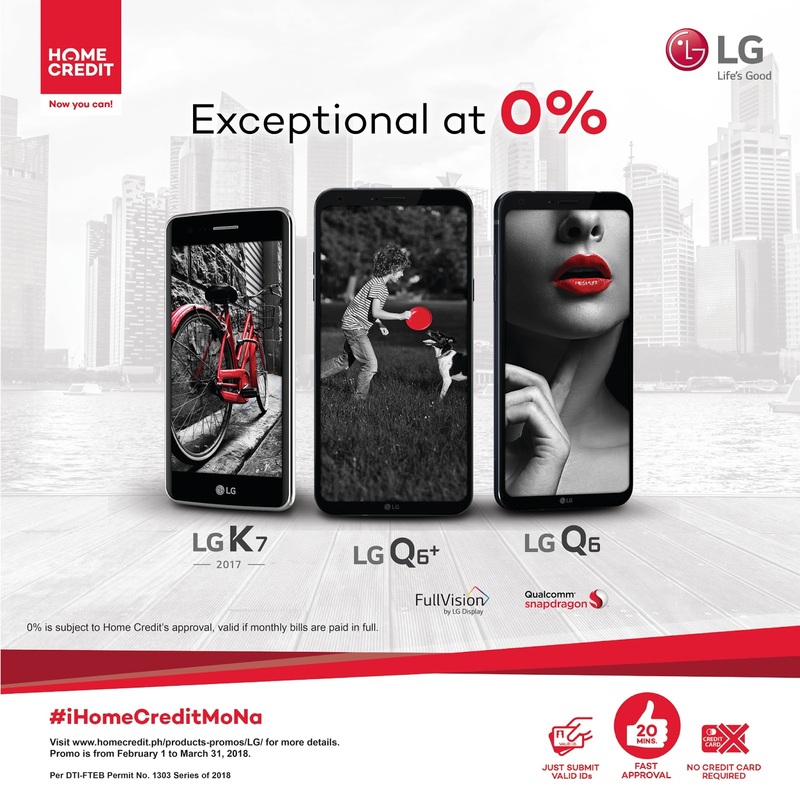 Moreover, It saves contractors 10-15% of labor costs since it is highly-customizable and can be tailor-fit for various home designs removing the need of cutting and reducing product waste. With the information shared in Discovery and the launch of HardieFlex™ Eaves, James Hardie Philippines empowers Filipinos to build without compromising on quality or sustainability by providing them with better resources. Architects, contractors and developers are encouraged to be part of the next Discover event. Get in touch with James Hardie Philippines as there are limited slots available. HardieFlex™ durable fiber cement boards are resistant* to impact, fire, mold and moisture damage. They also come with a 10-year warranty, so you won’t have to worry about them once they’re installed in your homes. All you have to do is to look for the green stripes and back branding on the board to know that you’re getting the real HardieFlex. 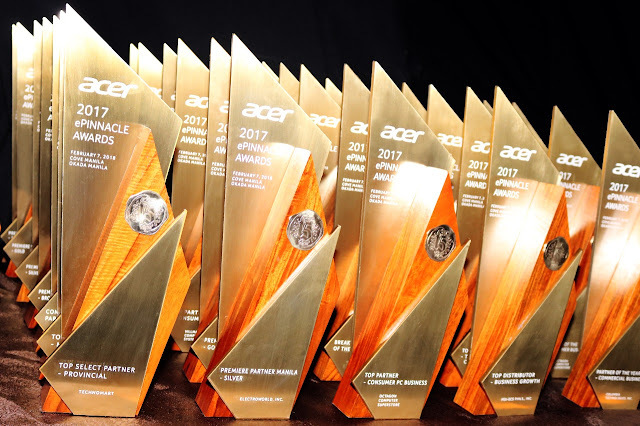 at its annual ePinnacle Awards. Director of Acer Philippines Inc.
beneficiaries of the organization, has recently accepted a full scholarship from Harvard College. As a gift, Acer also provided him with his own notebook PC to aid him in his studies abroad. Distributor Awards, and Partner of the Year Awards. 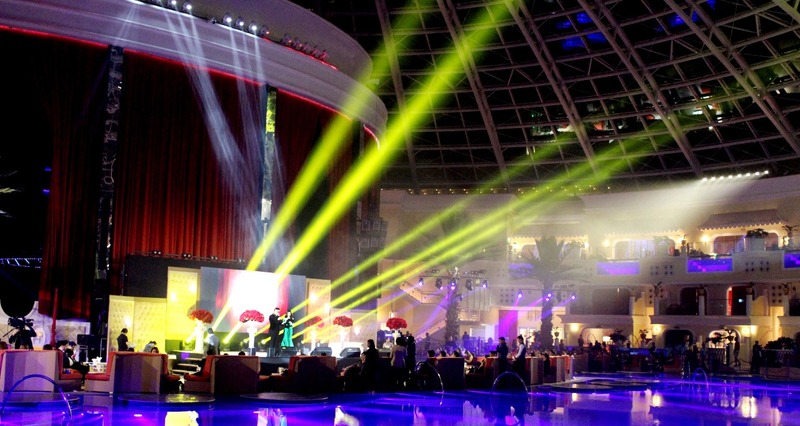 The prestigious awards ceremony was held at Cove Manila with over 500 partners in attendance. the exciting things we have in store for them because the best is yet to come. The Philippines is a country undergoing rapid transformation as it navigates the 4th industrial revolution. Today, digital technologies are transforming the lives of many Filipinos in regions across the country. As the country moves forward, we mustn’t forget that approximately 21.6% of the Philippine population still live below the poverty line and have limited access to much needed resources. Through partnerships with several organizations, Microsoft continues to transform industries through four key pillars: engaging users, empowering employees, optimizing operations, and transforming institutions. In the recent Social Business Summit 2018 in Angat, Bulacan, Gawad Kalinga (GK) launched “Barangay Walang Iwanan” (BWI), an enabling and empowering technology-based platform and ecosystem developed in partnership with Microsoft to help end poverty. “There was a need to harness technology for effective and cost-efficient communication, timely reporting, data consolidation and storage, transparency, accountability, and sustainability,” said Bayaborda. GK works on the frontlines of disaster preparedness and response in the Philippines. One of the applications of the BWI platform is during disasters when GK’s global network of volunteers is mobilized to bring help where it’s needed the most. 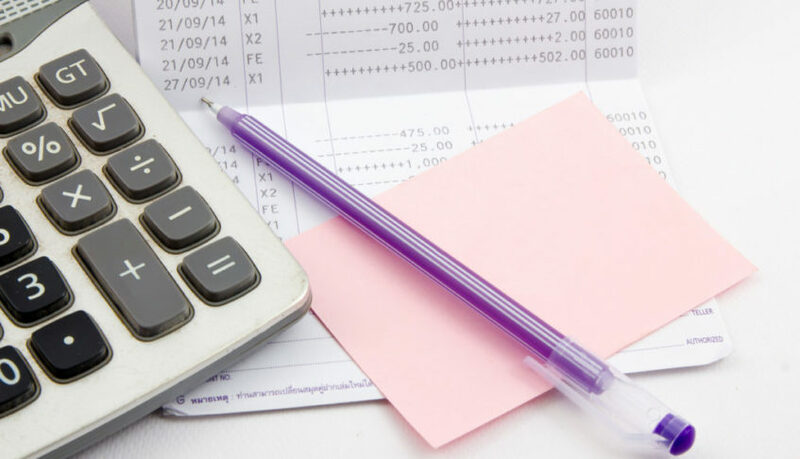 Important information on the local population such as household composition, income, and livelihood provide GK with insights for better-informed and quicker decision-making. In addition, GK helps members of the community get back on their feet by linking them to sustainable livelihoods via BWI. Through data gathered on the ground, BWI can shorten supply chains — from manpower to food resources — effectively cutting the middle layers and increasing profit at the lowest level. “Barangay Walang Iwanan is a testament to GK’s mission of ending poverty, as well as Microsoft’s commitment to empowering everyone. We’ve been working with GK for more than 9 years now, and this ambitious project is a product of that strong relationship,” added Bayaborda. Microsoft has a long history of supporting GK on technology and programs that aim to equip all youth to be future ready. Projects such as Raising Social Innovators, WeSpeakCode, and Innovate have provided underserved Filipino youth with access to digital skills which will be critical for their future. Through BWI, GK and Microsoft hope to create a culture of caring within the community and to build solidarity by connecting resources where they are needed so that no one is left behind. “BWI is a great step forward to ending poverty in the Philippines. Microsoft will continue to work with GK towards this mission of inclusion. Through technology, data can be used to drive value, development, and economics transition to more communities across the Philippines and ensure that nobody gets left behind, walang iwanan,” added Bayaborda. To learn more about how Microsoft Philanthropies is advancing a future for everyone, visit www.microsoft.com/philanthropies. From the USD 150,000.00 prize pool, Geek Fam takes home the USD 50,000.00 first place prize. BOOM.ID from Indonesia takes home the second place prize of USD 25,000.00, while Quid Pro from the Philippines bags USD 15,000.00. 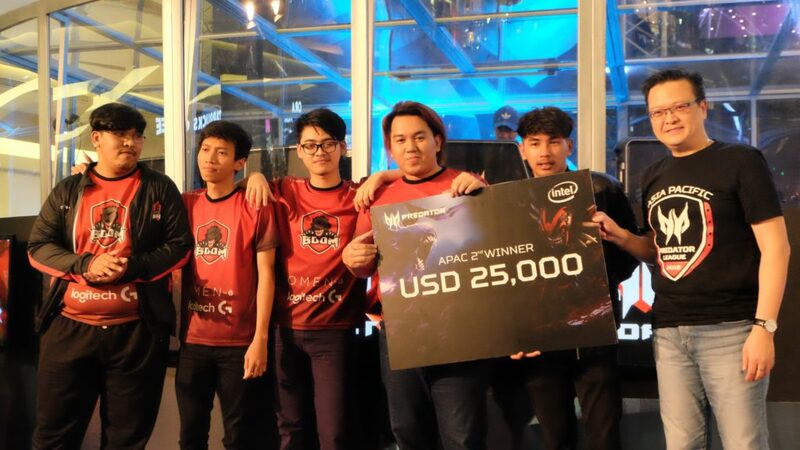 Bangkok, Thailand will be the host of Asia Pacific Predator League 2019. After a three-month run, Asia Pacific Predator League 2018 has officially come to the end.Quid Pro Quo from the Philippines secures the third spot in the gaming competition. Emerging as the winner is Malaysian team Geek Fam, and BOOM.ID from Indonesia is the first runner up. With a victory score of 2:1, Geek Fam secures the top spot of Predator League 2018. Geek Fam is composed of Skemberlu, March, ChYuan, and Oli dan Playhard, who are taking home USD 50,000.00 from the US$ 150,000.00 prize pool. Meanwhile, Indonesian team BOOM.ID and Philippine team Quid Pro Quo take home USD 25,000.00 and USD 15,000.00, respectively. Launched last October 2017, Asia Pacific Predator League is Predator Gaming’s brand new DOTA:2 league and the most anticipated eSports competition, which reached a total of 1,197 eSports teams for all around the world. 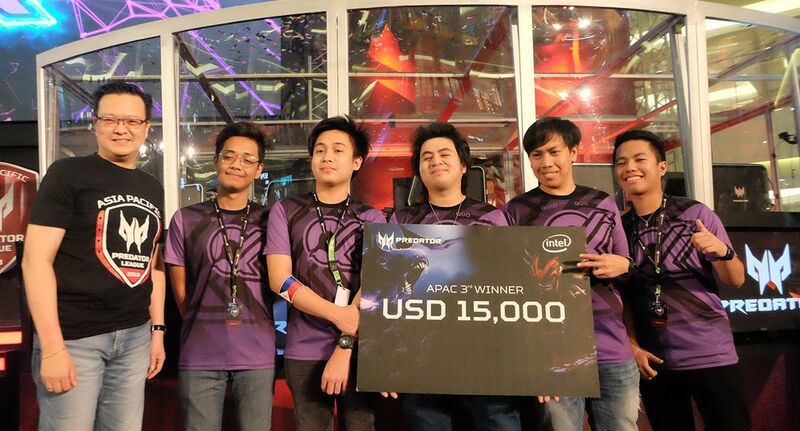 It was established as a means to empower amateur gamers to showcase their skills and talent on a global scene. In the Philippines, the Predator League 2018 eliminations saw the participation of 127 registered teams. All elimination legs were done in partnership with THENET.COM (TNC), the gaming company’s eSports partner. Singapore, Sri Lanka, and Thailand. 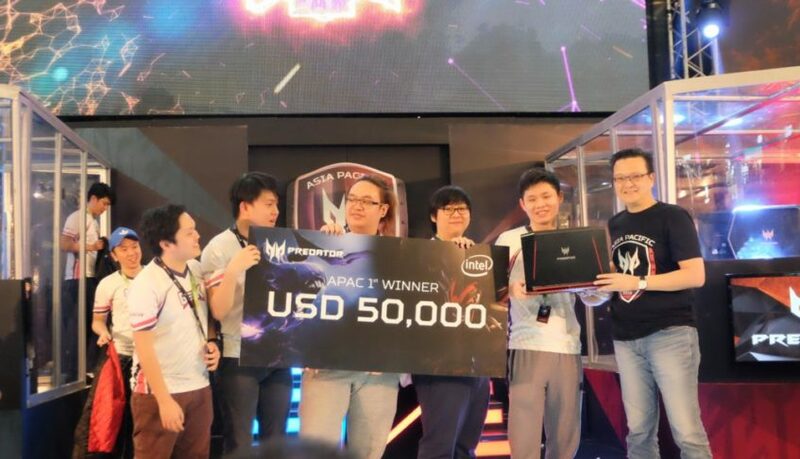 2019 will see a bigger Predator League as the tournament extends to reach 14 APAC countries, with final rounds to be held in Bangkok, Thailand. “It is with great pleasure and gratitude that we have been able to successfully hold the Asia Pacific Predator League, our world-class biggest eSports tournament here in Jakarta. 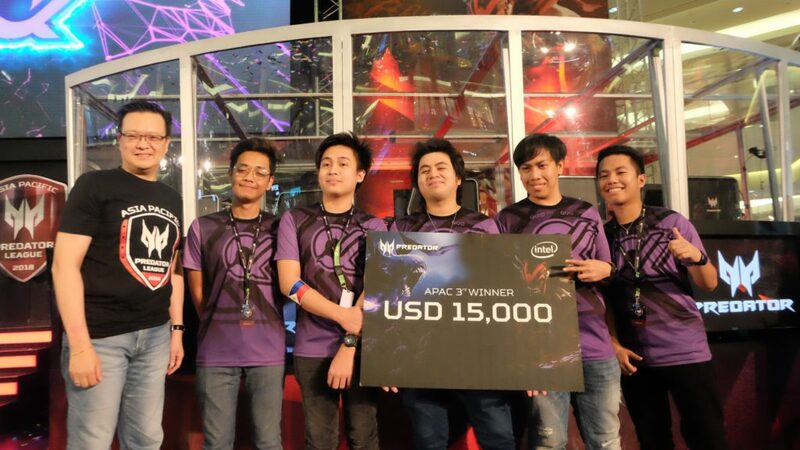 Congratulations to Geek Fam from Malaysia for coming out on top of the first-ever Asia Pacific Predator League. This winning moment will inspire young generation in Asia and we will continue to support their talent and achieve success as best we can. And this is not the end of the journey, but a kick off for next challenge. In 2019, we will extend the tournament reach to 14 APAC countries, and the grand final of Predator League 2019 will be in Bangkok, Thailand! 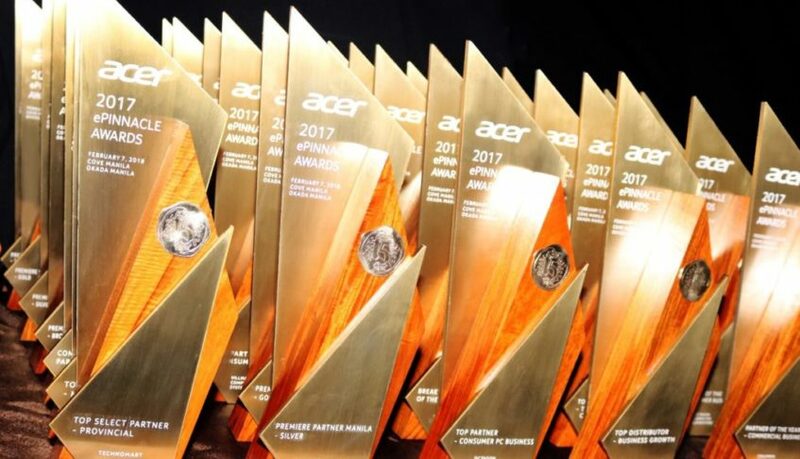 With bigger scope and reach, we will fully support participants to utilize the Predator gaming series and win the battle!”, said Andrew Hou, President of Acer Pan Asia Pacific. For further information about Asia Pacific Predator League 2018, visit https://predator-league.com/. JobStreet.com, OVP make livelihood opportunities accessible. 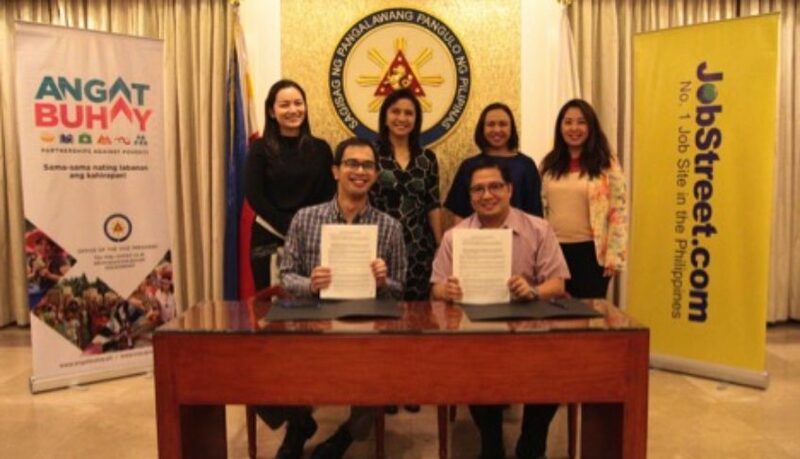 JobStreet.com Philippines and the Office of the Vice President (OVP) signed a memorandum of agreement (MOA), forging a partnership on the #AngatBuhay program. 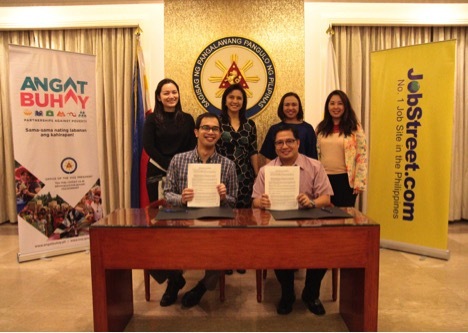 The partnership strengthens both parties’ resolve in making employment and livelihood opportunities more accessible to the Angat Buhay programs focus communities. Angat Buhay is the flagship anti-poverty program of Vice President Leni Robredo. (In photo, L to R): Vice Presidential Spokesperson and Head, Anti-Poverty Advocacies and Programs Unit Georgina Hernandez-Yang; Vice President of the Philippines Leni Robredo; JobStreet.com Philippines Country Marketing Manager Cielo Javier; and JobStreet.com Manager for Special Projects Christine R. Sevilla. 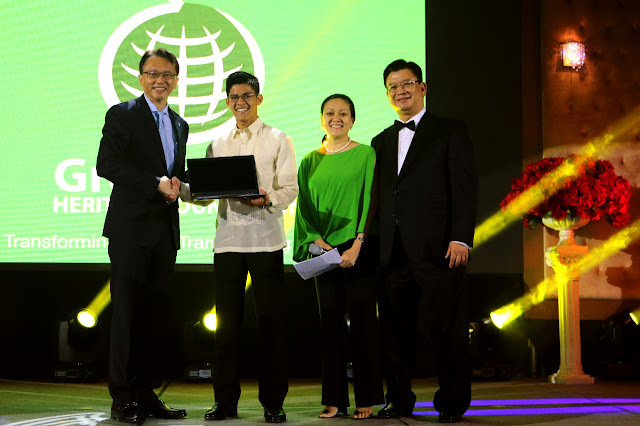 (Seated, L to R): Undersecretary Philip Dy and JobStreet.com Country Manager Philip Gioca. 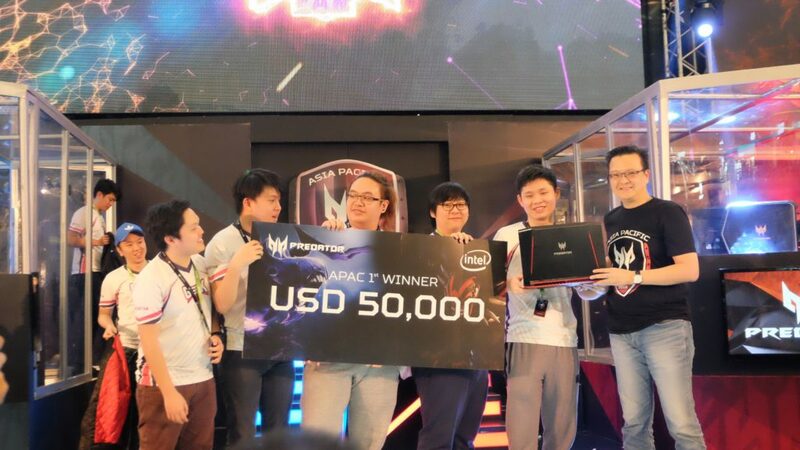 After a three-month run, Asia Pacific Predator League 2018 has officially come to the end. Quid Pro Quo from the Philippines secures the third spot in the gaming competition. Emerging as the winner is Malaysian team Geek Fam, and BOOM.ID from Indonesia is the first runner up. The preliminary round of APAC Predator League 2018 has run since October 2017 with great enthusiasm from gamers as evidenced by the high number of participants, reaching around 1,197 eSports teams from India, Indonesia, Hong Kong, Malaysia, Philippines, Singapore, Sri Lanka, and Thailand. 2019 will see a bigger Predator League as the tournament extends to reach 14 APAC countries, with final rounds to be held in Bangkok, Thailand.